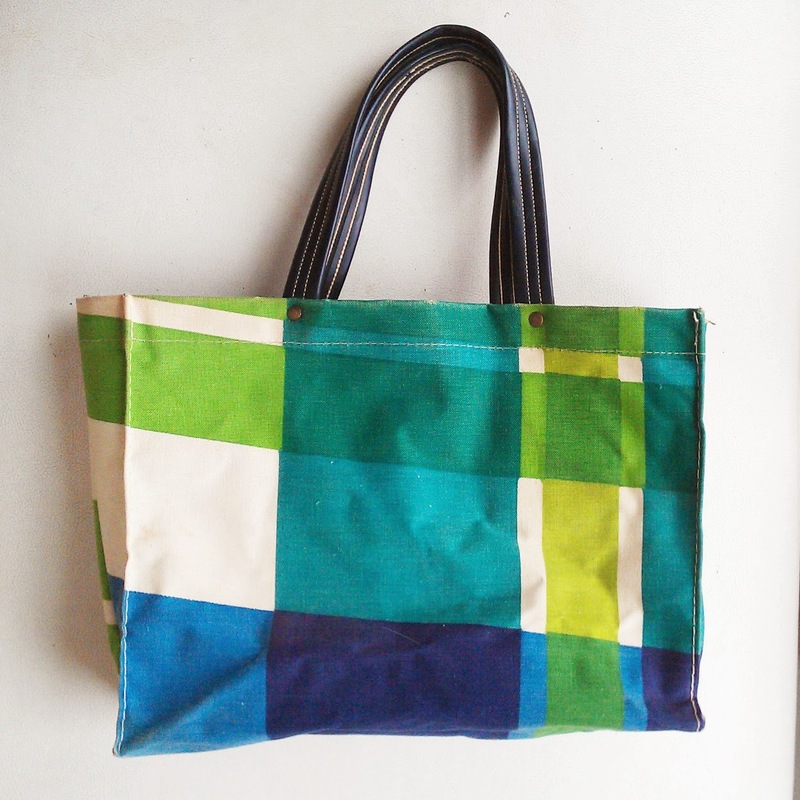 For this week's Sunday giveaway, I'm offering up this charming little plaid tote bag in a decidedly spring-like palette of blue and green. 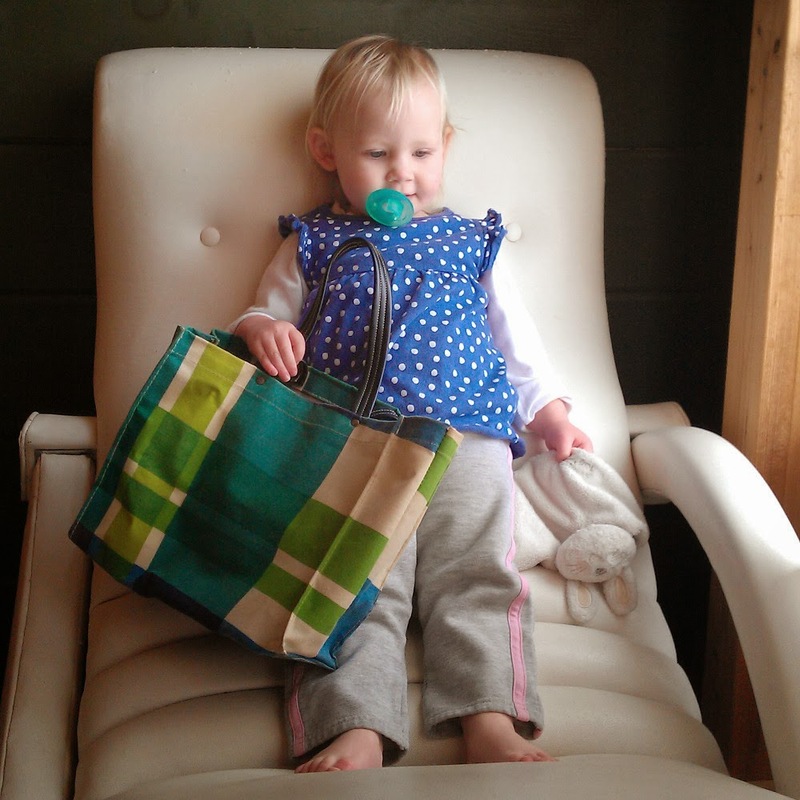 The bag appears homemade; the plaid is at a wonky angle and the whole thing, quite frankly, is a bit off kilter. But it's sturdy and useful, in addition to being, I think, rather charming. 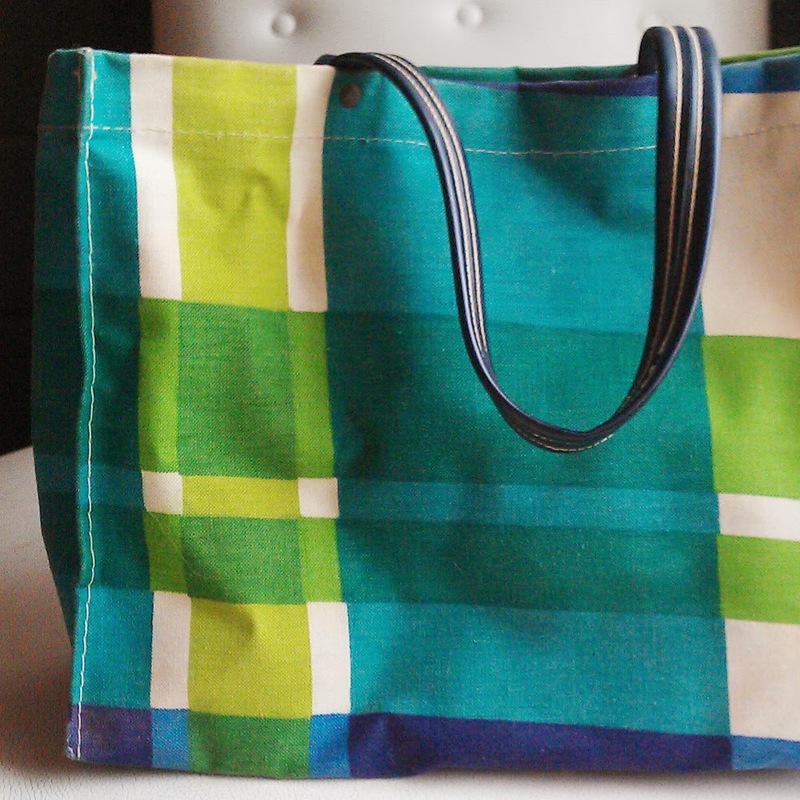 if you have room in your heart (and your closet) for a cute-yet-imperfect little bag, this could be yours! Besides getting this giveaway ready, I've spent a lovely morning tidying up my closet and picking out some outfits for this week. I'm also excited to announce the theme for this week's Work It Wednesdays linkup, which will be "mixing prints." My mind is already bubbling with ideas, and I'm excited to see what everyone else comes up with! I think I'll do a recap post on Friday to showcase everyone's links and look at some other examples from around the interwebz. I'm extending my offer of a 25% off coupon for my Etsy shop to anyone who joins the linkup, so I hope to see your print-mixing awesomeness on Wednesday!